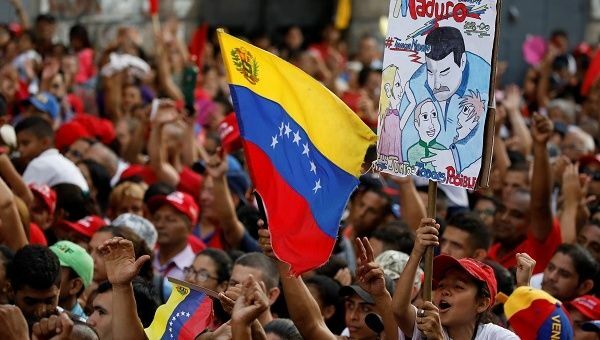 To understand the process that guarantees the right of Venezuelans to fairly elect their representatives, two articles of Venezuela’s constitution have to be kept in mind. May 5 (teleSUR) On May 20, Venezuelans will exert their right to elect their president and other local officials. It will be the 25th election of any type, and the fifth presidential electionsto take place since 1999, when Hugo Chavez was elected. Venezuelans take great pride in this fact in a region that has seen far too many coups, military and otherwise. However, there is a persistent campaign – endorsed by the U.S. and Canadian governments – that this election will be a fraud, even though critics have given no evidence supporting their assertion. I decided to learn more about Venezuela‘s electoral system to see if such deception is even possible. For that purpose I interviewed Wilfredo Perez Bianco, consul general of the Bolivarian Republic of Venezuela in Vancouver, Canada. The first thing Perez pointed out was that in order to understand the process that guarantees the right of Venezuelans to fairly elect their representatives, two articles of the Venezuelan constitution have to be kept in mind. Article 62 of the Venezuelan constitution of 1999 establishes the democratic foundation of the electoral process in Venezuela. The first paragraph says: ‘All citizens have the right to participate freely in public affairs, directly or through their elected representatives.’ The last paragraph concludes: ‘It is the obligation of the state and the duty of society to facilitate the generation of the most favorable conditions for its practice.’ It is significant to note that both state and society have a role in this process. The Venezuelan Electoral Power bases all its actions on the 1999 constitution; the Organic Law of the Electoral Power; the Organic Law of the Electoral Processes, and the Organic Law of the Civil Registry. According to the division of powers established in the constitution, it has functional and budgetary autonomy, which guarantees its independence from other state bodies. Currently, the voting system in Venezuela is a fully automated process and can be audited in all its phases. In 2004, Venezuela became the first country in the world to hold a national election with machines that printed the voucher or receipt, and in 2012 the first elections were held with biometric authentication of the elector and the subsequent activation of the voting machine. Once the fingerprint of the voter is authenticated, the machine is activated so that the voter can vote directly on the machine’s screen or on the electronic ballot. The selected option appears on the screen and the voter has the possibility to confirm his vote by pressing the ‘VOTE’ option. This vote is stored randomly in the memory of the machine and at the end of the day is recorded in the printed totaling records. Said votes are collated with the physical vouchers of the receipt box in the subsequent audit. The totaling system rests on powerful servers, which receive the electoral results from all the voting machines distributed in the country. The totaling system only receives data from voting machines authenticated and authorized by the CNE, which are protected with an encrypted alphanumeric key through an electronic signature. This key does not depend on any single party because it is shared between the CNE and all participating political organizations. The complete system of electoral guarantees also includes an international presence – the International Electoral Accompaniment Program – to accompany and observe the electoral process, get to know the operation of the Venezuelan system, and even contribute to its improvement. In the upcoming elections of May 20, 15 audits will be conducted in the different areas involved in the process of the presidential elections and legislative councils, and will comply with the standards used in the 2012 presidential and parliamentary elections of 2015 to guarantee transparency in the exercise of the vote. It appears that in compliance with the constitutional mandate, the CNE has created a unique legally bound and technologically sound electoral system, backed by the most comprehensive system of guarantees, which makes elections in Venezuela a safe, transparent and reliable expression of the sovereign will of the people and a full demonstration of a vibrant, participatory and protagonist democracy.